Through my whole life I love music, it's a part of me that I can't really explain but I'm an aspiring singer. I put my heart and soul into my songs like I said before it's something apart of me that I want express and show the world to . 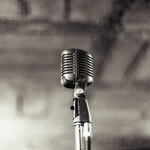 » Singer looking for a BAND!